I saw the ensemble with the man himself perform Music in 12 parts in Ostrava few years ago, unbelievable thing. That twelve-tone finale? BLISS. Especially as I was still high from doing a phone interview with Glass for the music magazine I worked for. Just half an hour of talk mostly about opera but he was super-nice and even gave me a few quotes that didn't sound rehearsed. Good times. This was the third time I've seen fantastique live, but it's such an amazing work that I'd be willing to see a dozen more times. The real treat was Philip Glass' VC No. 2, which I was a little nervous about how the Atlanta crowd would react to this. I personally love the piece, and own the McDuffie recording of the work, released about 5 years ago. McDuffie's performance at the concert was flawless, and he's a real physical performer which added to the spectacle of the music. To my delight the rest of the crowd was just as mesmerized, they sprung to their feet in excitement the very second the music ended. I was so gitty I actually went to meet McDuffie and have him sign a copy of the CD. Yes, I bought a second copy there at the hall just for the autograph. <----Nerd Alert. I just purchased tickets to attend the 80th Birthday Celebration of Philip Glass at Carnegie Hall in January! It will also be the world premiere of his 11th Symphony performed by Dennis Russell Davies and the Bruckner Orchestra of Linz. I'm beyond thrilled to be going to this event!!! Noice! I just finished the Glass autobiography that a dear friend had sent me (signed by PG, no less). Very nifty work; not great in any literary way... but breezy enough and with lots of New York flavor that reminded me of my time in the big apple when it seemed more appreciably like back when. I once called Robert McDuffie a "second tier violinist" or something to that effect in my column for the Washington Radio Station. No, wait, here's the exact quote: "A major niche career". His management took such exception to this paragraph that they cancelled a planned recording with WETA over it. Nitwits. And they wanted to convince me of how wrong I was to have formed this opinion, by quoting his busy concerting schedule including the Detmold Philharmonic, the Chattanooga Symphony, and the Symphony Orchestra Vorarlberg. (I'm paraphrasing, but these -- or orchestras within that estimable third or fourth tier -- were highlighted as making their point. Goes to show on how different a page we were on, because I thought they were making exactly my point. And worst thing: I never meant it in any denigrating way to suggest that he has a major niche career. There are only ten or twenty top violinists on the circuit at any given time... and the rest has to find some way to make their name despite not breaking into that phalanx. Being known as the go-to-guy for the two Glass concertos (and the Adams, I think) isn't the worst thing, is it? I need to read that autobiography, and also re watch the Scott Hicks documentary which was done quite well. Been a while, but revisited the wonderful music of The Photographer today. The lengths of Act II and Act III are perfect for allowing Glass' music to build and intensify, which Act III truly reaches a high level of. These movements and their build ups are similar to some of his earlier operas like Einstein and Akhnaten. The Photographer is great for headphones as well, the whirlwind of the synthesizers are mesmerizing, especially at 8:26 in Act III. 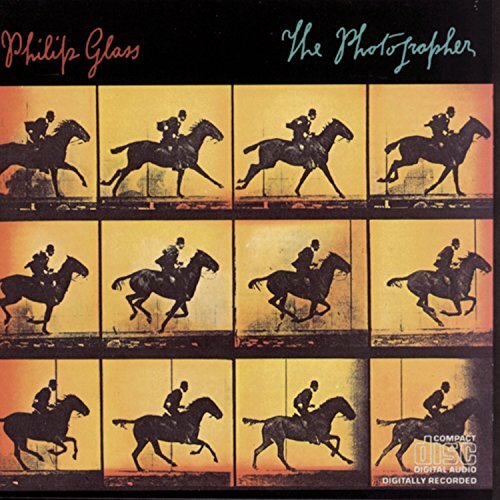 The Photographer is probably what I believe to be the pinnacle of his work with the Philip Glass Ensemble after Einstein on the Beach. 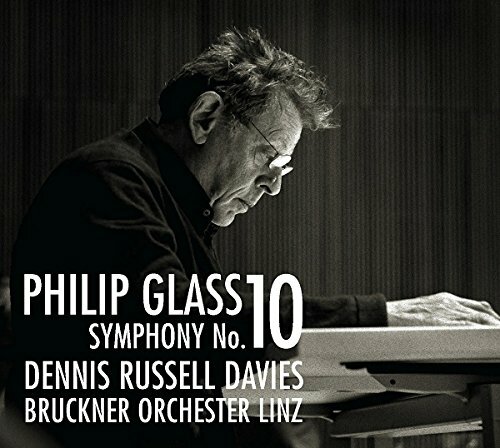 There are good amount of recordings of Philip Glass piano music available, but unfortunately most of them seem to feature similar programming. I mean how many recordings of Metamorphosis does one need? 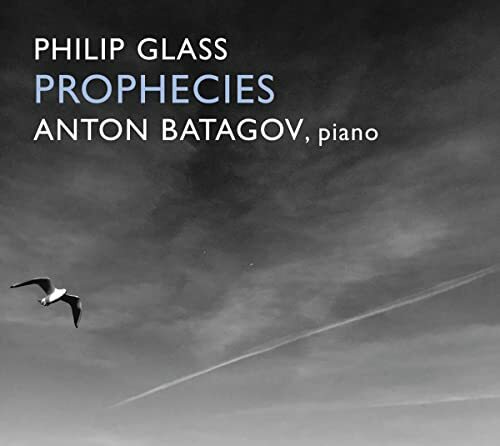 But this new disc from Anton Batagov is different, and worth it. Not all of Glass' music sounds great when transcribed to piano, but these selections from Einstein and Koyaaanisqatsi successfully make that transition, especially Night Train. These works are still from an early time in his career when pure Minimalism was still in the forefront of his compositions. Of all the Glass compositions out there, I find the piano works to be of least interest to me. Of course, there are always exceptions like '600 Lines' which is often performed on piano and I enjoy that work very much. That is super cool. I hadn't realised he had written an 11th. - World premiere BD for Philip Glass’ landmark opera from 1976. - Director Robert Wilson & Philip Glass revived the work in 2012 for a world tour ---the first time the work had been performed in 20 years. - ‘‘Einstein’’ helped to establish the international reputations of Glass and Wilson. Thanks for the info, Drasko. A definite purchase for me. I've seen footage online of what I'm guessing is from this production, not 100% sure, but I'm very excited to watch this. I've been going through a lot of his stuff on Apple Music lately. Les enfants terribles - absolutely brilliant. Scored for a Stravinsky-esque 3 piano line-up, Glass creates an extraordinary sound world, full of rhythmic bite and lyrical beauty. La belle et la bete - some remarkable colours and harmonies are extracted from a slightly larger than usual Philip Glass ensemble. As in the above piece, the singing in French works really well with the music. Concerto for Saxophone Quartet - surprisingly jazzy in places, this is one of the more inventive orchestral pieces he's written. The slow third movement is particularly atmospheric, and there's some great interplay between the saxophones throughout. All great works, Reckoner. Have you ever watched Cocteau's film of belle et la bete with Glass' playing over it? It works really well. Four months away from this event. Bought a ticket for my lifelong friend, also a Glass fan, to meet me in NY for the concert. Decades ago, before Glass got really famous, an acquaintance of mine saw him at a local high school. I haven't. But I'd heard good things before, and glad to hear good things again! Will have to check it out at some point. They're performing Les enfants terribles in London for his 80th birthday but I found out too late and it's sold out now. From High School to Carnegie Hall. The title to his second book of memoirs? That would be great to see live, Reckoner, keep looking for someone selling them online!
. I'm hoping PG will be in attendance at the Carnegie Hall concert considering they're premiering his 11th Symphony. I'm hoping PG will be in attendance at the Carnegie Hall concert considering they're premiering his 11th Symphony. If he is, you need to make a selfie happen. Oh ill try. Last time I saw Glass in concert was pre-cell phone days so pics happened. I felt like the 10th symphony was a slight disappointment, after the big, poetic statements of the 8th and 9th. I wasn't impressed by the fact that he re-hashed old material for the work. Here's hoping he gets back to good form in the upcoming Symphony No. 11. I'll try to get round to posting a 'favourite works' list for Phil. There'd be so many to choose from.